Another IRGC officer were killed near Aleppo, Syria. IRGC’s Mohsen Fanusi was killed on Tuesday. He was deployed to Syria as a military engineer attached to IRGC’s 43rd Imam Ali Engineering. Fanusi’s rank was not given. 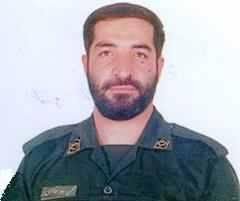 The late Fanusi becomes the 35th IRGC officer KIA in Syria since the start of Iranian-led offensive near Aleppo early in October. There were also funeral announcements for three more KIAs in Syria in the past 48 hours. Their affiliation, rank or nationality (Iranians or Afghans) were not given. So we will not list them as IRGC KIAs until further information is available. Those KIAs are: Nasratollah Mohammadi, Qorbanali Ahmadi and Eshaq Moradi. Meanwhile, the bodies of three fighters from Iran-backed Shia militia, the Fayimiyoun, who were killed near Aleppo, Syria, was carried to the holy city of Mashhad for funeral ceremonies. RIP to these brave men. Independent sources now confirm over 400 Iranian casualties, both dead and wounded since 2012. Most have been officers including 5 brigade level generals. Something is totally amiss in Iranian strategy and tactics. Problem is the IRGC was formed to protect the regime from any future opposition towards the Islamic ideology.It's one thing when attacking unarmed Iranian civilians and another totally different thing when attacking armed jihadi terrorists. Is one more not enough ? ?